I’ve said it and I’ll say it again: Noringai’s Parang Kayo Pero Hindi is one of the best books that I bought on impulse. There was something that really attracted me to the book, made me pick it up and browse it while I was on my way to the bookstore’s cashier. I guess masasabi ko na rin na it was love on first browse. What made fell for it is that it somehow parallels my thoughts and kasentihan sa buhay when it comes to love and, well, other matters. When I’ve found out that she also has a second book out, walang pag-aatubili at dali-dali na rin akong pumunta sa pinakamalapit na bookstore to buy it. Again, the book was delightful, and I like it more than the first one. In Buti Pa Ang Roma May Bagong Papa, Noringai shows her witty and playful side, and more than about giving tips on how to deal with love woes, she also dishes out insightful life lessons. Kaya kapag nakikita ko sa social media that she has a new book, ‘matic na, bibilhin ko na talaga! This was the case when I first saw The Goodbye Girl when I attended The Philippine Literary Festival last August 2015. Noringai’s third book depicts different stories how girls (or people in general) got disregarded, taken for granted, hurt, frustrated, turn nasty, vengeful, and eventually hopeful all in the name of love. If in her first and second book Noringai displays her humorous and lively viewpoint in matters of the heart, The Goodbye Girl is a bit different: it is more serious, emotional, deeper in exploring the varied pains that loving someone brings about. She truly hits a raw nerve with the stories presented in the book. 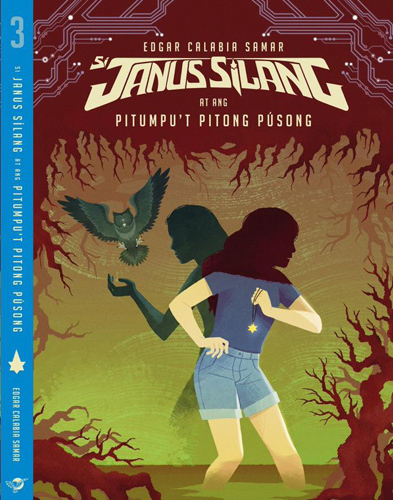 May mga tagpo talaga while reading na parang ikaw ‘yon o naikwento iyon at one time or another ng kakilala, kaibigan, kaklase, o kaopisina mo. Then mayroon ding mga kuwento na mapapatawa o maiinis ka sa katangahan ni girl. In all measure, it’s a truly relatable book not only for girls but also for guys—as Noringai said in the book’s preface experiencing heartbreak is the only equalizer in life. After all the roller coaster ride of emotions that the author lead us to in the course of the book, she essentially imparts that more than breaking us apart, love also has the power to heal, make us whole, and ultimately enable us to love again in time. That saying goodbye doesn’t always mean finality but giving ourselves the chance to start with a clean slate, begin things anew. That the goodbye girl can always be a new girl. Pagdating sa pag-ibig, hindi maiiwasan na may madarapa’t masasaktan. Pero tandaan na sa buhay na ito we can either move on or live a life of misery. Choice mo na ‘yan. Maligayang araw ng mga puso sa lahat!